Are you looking for the clear alternative to braces? Do you want straighter teeth without affecting your appearance? At Milestone Orthodontics, we offer Invisalign and Invisalign Teen in West Orange NJ, Paramus NJ, and surrounding areas of Essex County NJ. Find out why so many of our patients have fallen in love with the freedom offered by Invisalign. The Invisalign process uses a system of clear aligners to correct common orthodontic issues such as misalignment, overcrowding, and irregular spacing between teeth. Clear aligners are virtually invisible, removable, comfortable, and durable. Every Invisalign treatment begins with a complimentary consultation with a Rutherford orthodontist. Dr. Milestone will assess your needs, and create a custom treatment plan that is right for you. Invisalign treatment is based on each patient’s individual needs. Therefore, the cost of Invisalign is different for everyone. 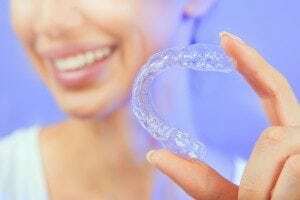 The Invisalign cost is usually based on personal factors such as the duration of treatment, the severity of issues being treated, and where you are located. Invisalign in Rutherford NJ may be cheaper than a higher income neighborhood or larger city. Invisalign allows you to eat any foods you want! One of the best features Invisalign offers is the option to be removable whenever necessary. This makes brushing, flossing, and maintenance much easier than other forms of orthodontic treatment. So before you set restrictions on your diet throughout the entire length of treatment, visit Milestone Orthodontics to see if Invisalign is right for you! Dr. Milestone and our team at Milestone Orthodontics are experts in orthodontic treatment. We are happy to answer any questions or concerns regarding braces, clear braces, Invisalign, or Invisalign Teen in Rutherford NJ, Paramus NJ, West Orange NJ, Union NJ, Verona NJ, Nutley NJ, and surrounding areas of Bergen County NJ. Contact Milestone Orthodontics to schedule a complimentary consultation today. Call now (201) 845-8411.